The About Us page is really important if you are a small store, or even a well known brand. It provides a chance to tell your story, to set out your mission, history and guiding principles. A chance to connect with your potential customers and explain why you do what you do or more about your creative process. If you are starting up on your own, establishing trust is critical. 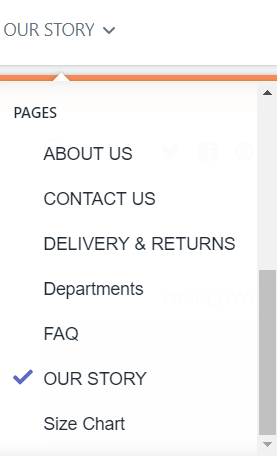 Would I buy from a store without reading the About Us page first? Probably not, I like to know who I'm dealing with. For my teenager, images speak louder than words, so video and pictures have more impact. Recommendations and testimonials count too, whether it's from happy customers or trusted social media influencers. Fundamentally, the story page is an opportunity to sell more and to increase your reach by including quality SEO content. 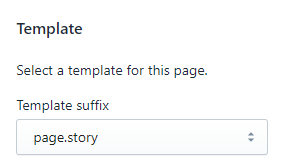 Our Symmetry, Showcase, Canopy, Boost, and Masonry themes now all include an extra page template - page.story - to make it easier for you to tell your story. Add pictures, videos, testimonials, press comments and any other content you need, all in a beautifully designed template that brings the best of your homepage content options to other landing pages. The page doesn't need any other content. Please note, only page templates in your published theme will show here. You can jump straight to the page in the Theme Editor dropdown or navigate to it if you've already added the new page into your menu. 3. Tap on Sections and then add the content blocks you need. Note: The page.story template is designed for use on one page in your store. The same content will show on all pages using the page.story template.